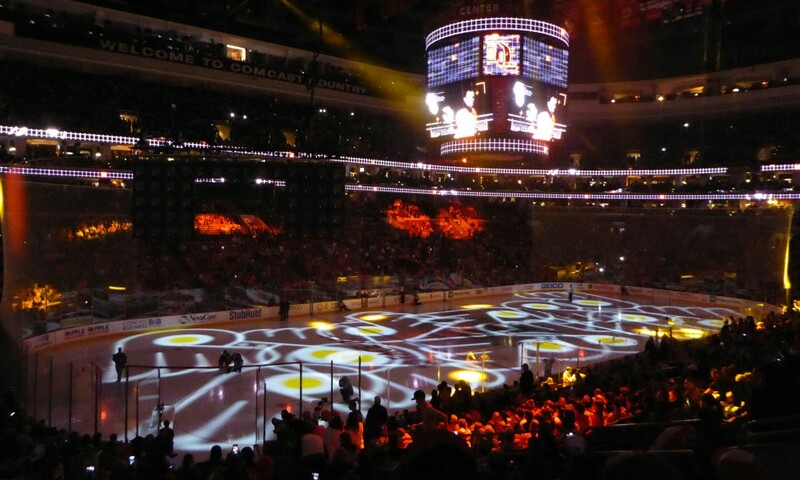 With the 2014-15 NHL season quickly approaching, this week brought several bits of news regarding the sport’s future. Rumors were flying that NHL Commissioner Gary Bettman has promised that there will be NHL expansion during the next few years. The city that is getting a lot of buzz as a potential site for a new NHL franchise is Las Vegas. My first reaction was, well why not? Then I thought about it and gave the idea a big thumbs down. And here’s why: As I have pointed out before, the NHL does not seem to know that their product can be too much of a good thing. There are already 30 teams, and some of them struggle financially, especially in southern cities like Phoenix and Nashville. Yet the NHL is apparently discussing putting another NHL team in the desert in a city that already has plenty of other attractions to vie for the attention of potential hockey fans. I have only been to Las Vegas twice, and I cannot say that I have done any sort of research on the city’s population, its number of visitors per year, or their demographics. However, I heard a logical prediction on SiriusXM NHL Radio Network recently that sounded about right. The talk show hosts were predicting that since many Las Vegas residents probably work at night (given the vibrant Las Vegas night life and its related employment), these residents would not be able to attend evening hockey games on a regular basis. The other point made was that even if a Las Vegas NHL team could draw hometown fans, most of the game attendees would likely be tourists who are there to see “their’ team play against the home team. (I could easily see my husband and I planning a winter Las Vegas getaway around when the Flyers are playing there.) However, I don’t think that the NHL wants to fill a new arena with opponents’ fans. They want to build a strong home fan base and sell season tickets and luxury boxes to Las Vegas residents. We will see what happens, but I could see a Seattle or a Quebec City being a much more viable option for an expansion team. Or, better yet, maybe the NHL should just leave things as they are and avoid over-saturating the market and creating too much of a good thing. The other piece of news that came out this week involved a Flyers home-game future without the Flyers ice girls. Though it has not yet been officially confirmed by the Flyers organization, apparently the ice girls have been nixed. I am sure many male Flyers fans out there are disappointed. Personally, as a female Flyers fan, I could care less either way. I always viewed the ice girls for what they were: attractive young women wearing very little clothing who skate around (very well I might add) cleaning the ice during breaks from play. My feeling always was that at least they were doing something versus just standing on the sidelines cheering. Apparently, a recent article in the publication Mother Jones quoted former ice girls from various NHL teams (including the Flyers) complaining about poor working conditions and meager pay. I read the article and honestly I thought it was a bit ridiculous. Apparently, the girls were not allowed anywhere near NHL players socially (players walk into restaurant–ice girls box up their dinners and run); the girls were not allowed to eat in public while working, even when they were starving; and the girls got cold standing at arena doors greeting fans but were not allowed to put on their jackets. Sorry if I don’t shed a tear here, but no one forced them to sign up to be ice girls. And I would imagine that many current and former ice girls would say that it is a great experience that many girls would give anything to try. I am not sure what the motive is behind the Flyers deciding to drop the ice girls. It is probably an effort to stay ahead of bad publicity (and perhaps law suits) that are likely to follow the Mother Jones article. I just hope that this move is not some grand attempt to appeal to female hockey fans. Honestly, I cannot imagine a female fan being turned off to hockey because of the ice girls. I imagine that most female hockey fans either admire them or ignore them (or, like me, a little of both). I believe that the best way that the NHL can appeal to female fans is to treat us like any other fans. We love the game, know the game, love to see the game in person….and we do not want to wear pink jerseys. I cannot wait for the NHL season to start and I am excited about the NHL’s future. Sometimes change is good. So, who knows, maybe hockey in Vegas and no ice girls is in hockey’s future.